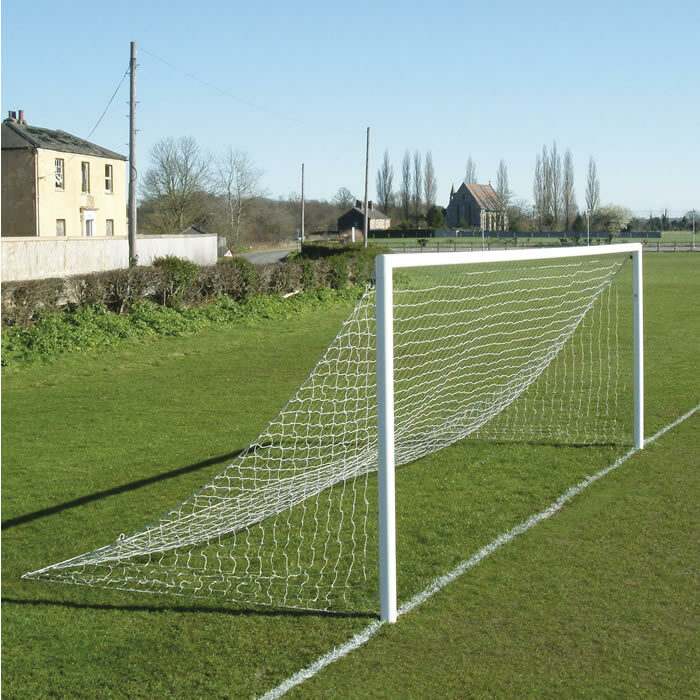 Aluminium socketed goals with quick release crossbar, made from 100mm x 110mm elliptical reinforced aluminium powder coated white. Heavy duty internal corner joints. Complete with 457mm sockets with lock on lids, lids locked on with turnkey lock system. 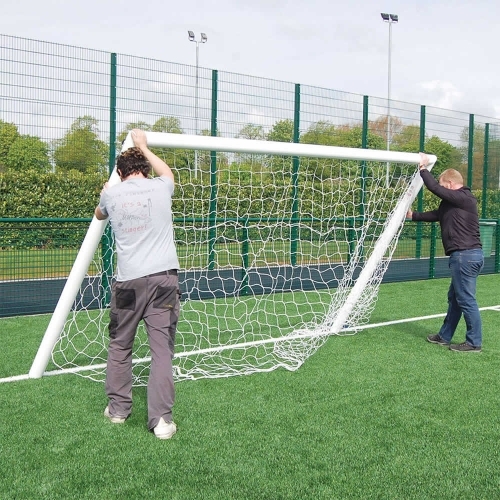 White 3mm thick 120mm mesh nets. No tools needed to attach crossbars to uprights. NO BACK SUPPORTS.